Shanghai Office was established in 2007 encouraged by the copiousness of opportunities offered by China to foreign investors. China is a complex and captivating country with astonishing economic growth rates. During the years, CPO operative structure gained the necessary expertise and fine-tuned itself to the increasing complexity of “Chinese System” thanks to specialized professionals capable to fulfil the various needs of companies established beyond the Great Wall. 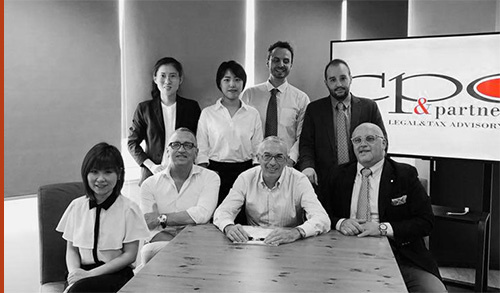 Today CPO & Partners is a consolidated firm in China, constituted by a team of Italian and Chinese CPA and Lawyers, specialized in advising and solving problems typical of foreign companies operating in Chinese market. During years of activity, CPO & Partners has acquired strategic contacts with institutions and established collaborations with numerous local professionals to offer the best solution and better satisfy each companies’ demand.